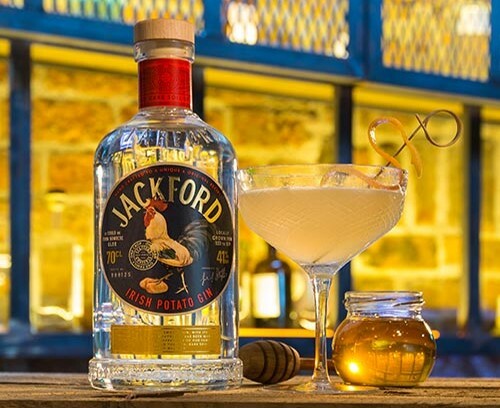 Jackford Irish Potato Gin is the first distilled spirit from Stafford Irish Spirits. The gin is contract distilled at West Cork Distillery and uses a base spirit produced with Wexford potatoes grown at the Stafford family farm in Enniscorthy in the South East of Ireland. "A potato gin is very different to a regular grain gin; it’s a lot smoother and creamier on the palate, and feedback has been very positive." For another gin with a potato base spirit try Williams GB Gin and Levenswater Spring 34 Gin. For more Irish gins try Listoke 1777 Gin, Bertha's Revenge Gin and Drumshanbo Gunpoweder Irish Gin.